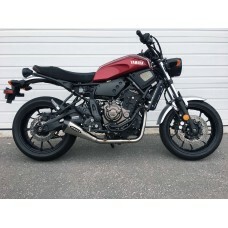 Now available for the 2018-2019 Yamaha XSR700! Our one-of-a-kind Evo Megaphone system. Amazing sound, great looks and a huge weight difference in comparison to stock. Please note: system includes the muffler. 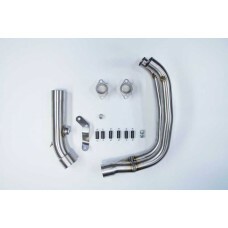 Hindle Exhaust Full System for the brand-new Yamaha XSR 700. Pair it with your choice of Hindle muffler style for a complete customized look.